Highly researched, creatine monohydrate has been shown to support muscle strength, power, and size when combined with high-intensity activities. 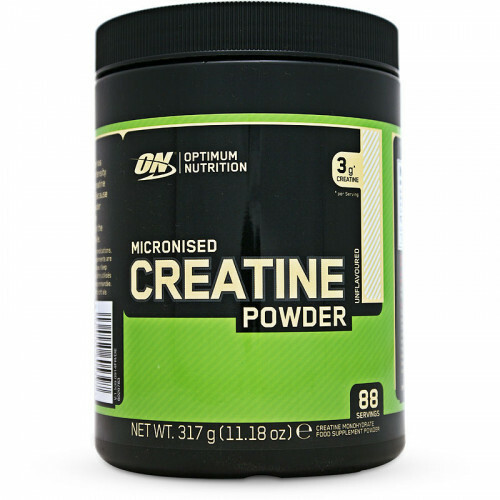 It's also micronized (to make the particles smaller), so the powder mixes easier and stays suspended in liquid longer than non-micronized creatine supplements. Creatine Powder is micronised for easy mixing. Simply add 1 rounded scoop (3.6g) to 240 ml of cold water, your favourite beverage or ON shake and mix until powder is dissolved. Not for use by those with pre-existing medical conditions or those taking any medications, those under the age of 18 or women that are pregnant or breast-feeding. Food supplements are not to be used as a substitute for a varied diet. Do not exceed recommended daily dose. Keep out of reach of children.